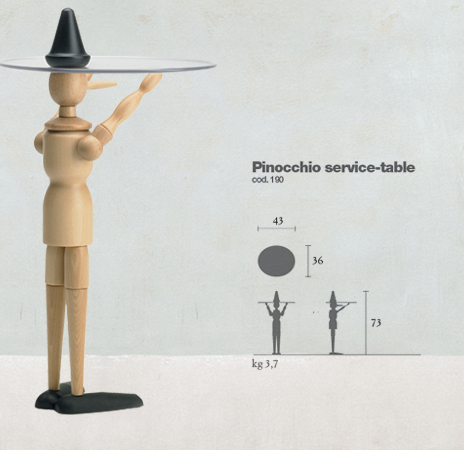 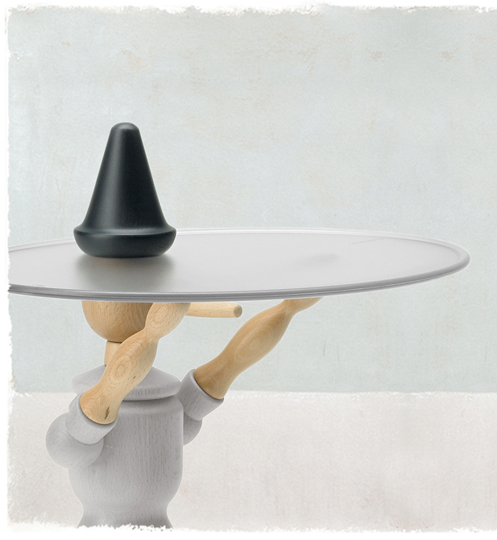 Service table, Valsecchi 1918, PINOCCHIO, Luigi Baroli, 2011. 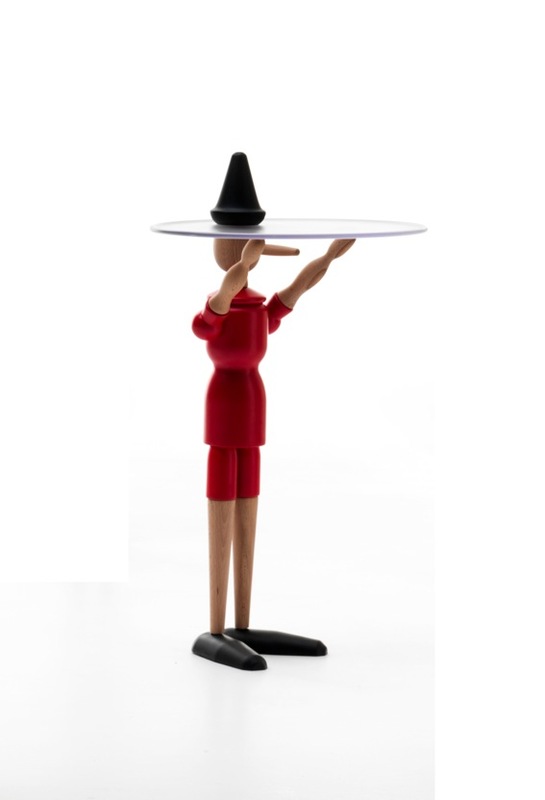 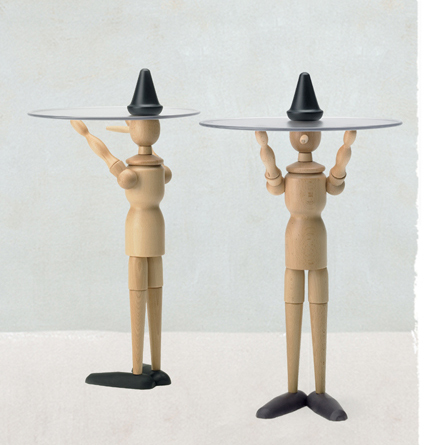 The Pinocchio serving table has a clear scratch-resistant photoengraved polycarbonate top, whilst the feet are made from die-cast zamak with matte black thermoplastic rubber covering. The structure is made from lamitaed beech veneer.